Live streaming video coverage of the launch. 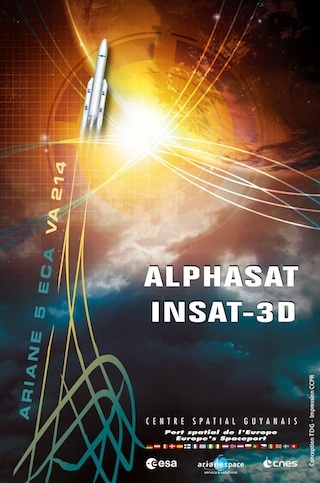 Live coverage of the launch of an Ariane 5 rocket with the Alphasat and INSAT 3D satellites. Text updates will appear automatically; there is no need to reload the page. Follow us on Twitter.